Queues, queues, and more queues is what happens when you bring free tastings to midtown during Farm to Fork Week. On Sunday, September 20th, the Handle District hosted a Farm to Fork Week event called Dirt to Dish. 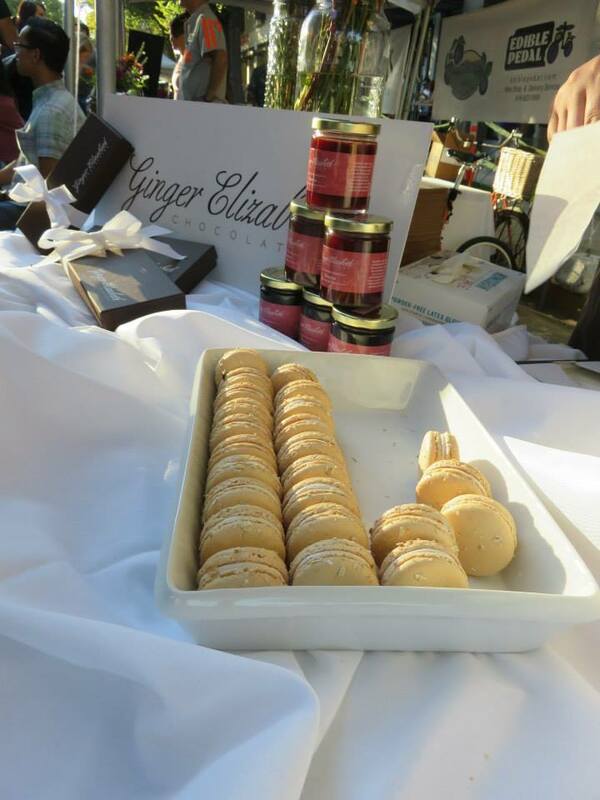 Local restaurants and wineries provided complimentary tastings to raise funds for the Sacramento non-profit Plates Cafe. 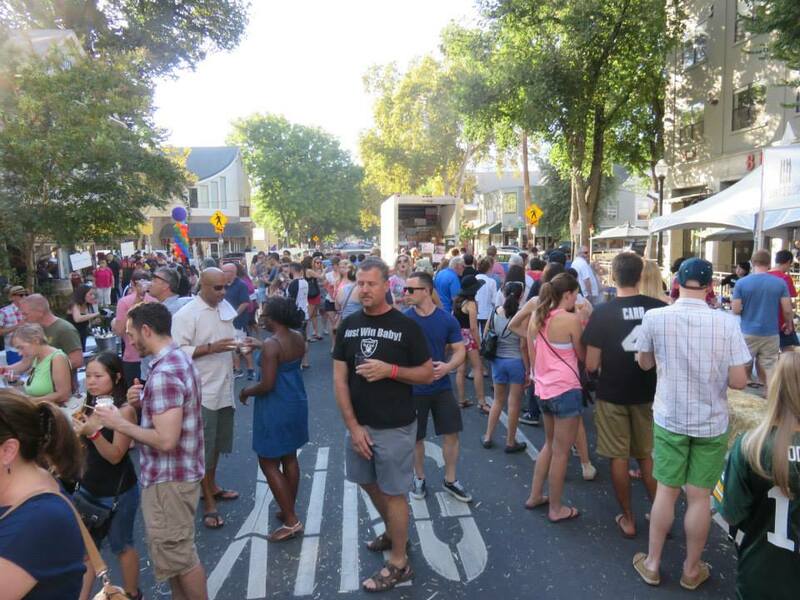 Over a thousand people RSVP’d on Facebook, and judging from the lines, I’d say at least that many showed up to try some tasty dishes and delicious wines. I started off with wine tasting due to the quick lines. I love wine and don’t have the patience for standing in line so it was an easy choice for me. All of the wineries at this event were from Lodi. 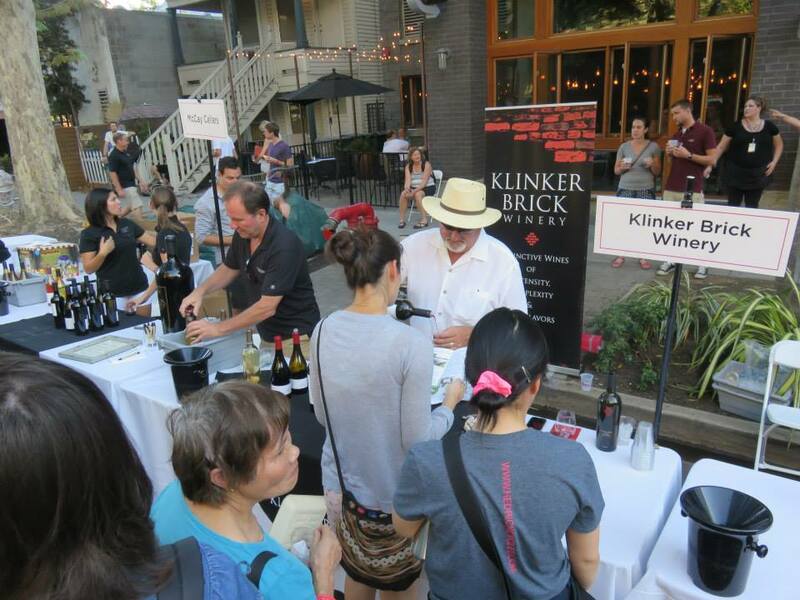 Klinker Brick is the winery featured in the photo above and they specialize in Old Vine Zinfandels. Other wineries at the event included, but were not limited to, Michael David, Dancing Coyote, McCay Cellars, and Harney Lane. In addition to the wineries, there were other booths who knew how to manage their lines well, such as Ginger Elizabeth, featured above. Despite the comments I’m reading on the Facebook page, when I was at the event I thought overall the crowd was in good spirits and I didn’t hear a lot of complaining about the lines for free food and drink.